Kate McClure, pleaded guilty to theft for her role in creating the fake GoFundMe campaign purportedly to help a homeless man. She is expected to be sentenced to four years in prison when she is formally sentenced in June. 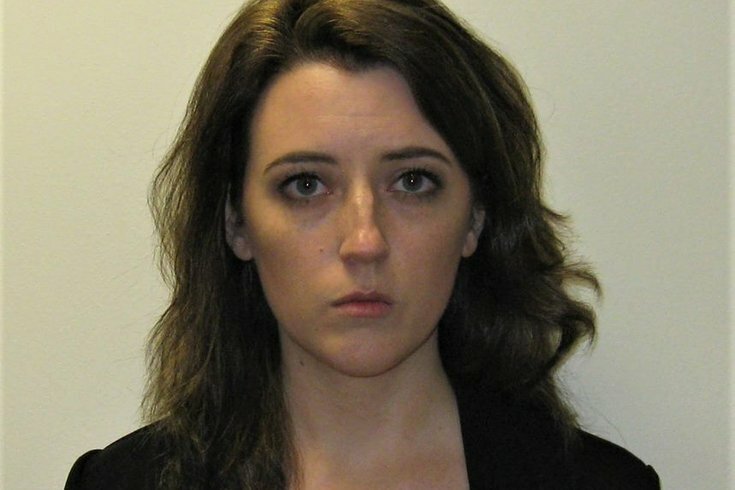 Kate McClure, one of three defendants charged in last year's GoFundMe scam, pleaded guilty to one count of theft by deception in court on Monday morning, according to the Burlington County Prosecutor's Office. McClure, 29, of Bordentown, New Jersey, pleaded guilty as part of a deal with prosecutors. In exchange, she will be serve four years in prison when she is formally sentenced by the judge on June 3, prosectors said. In March, McClure had pleaded guilty in federal court in Camden to one count of wire fraud conspiracy. She faces up to 20 years in prison on that charge. Her federal sentencing will be held on June 19. Investigators say McClure and then-boyfriend Mark D'Amico allegedly conspired in November 2017 with homeless veteran, Johnny Bobbit to pull-off the scam. The trio would create a story about about Bobbit being a good Samaritan who helped McClure by using his last $20 to buy gas for McClure's car after Bobbit came upon her stranded on I-95. To reward Bobbit, 36, for this good deed, police said D'Amico and McClure started a GoFundMe campaign based on their lie, and the intention had been to split any money raised among the three of them. The story of Bobbit spending his last $20 to help McClure went viral just as the holiday season kicked off in 2017. More than 14,000 donors contributed $402,000. The plan started to fall apart, however, when Bobbit filed a lawsuit against the couple for withholding funds in November. GoFundMe has since refunded the donations. D'Amico, 39, of Florence, New Jersey, was charged in Burlington County in November with theft and conspiracy. He does not face federal charges. Bobbit pleaded guilty in the case on Friday and was sentenced to five years of probation for conspiracy to commit theft. As part of the deal, he will enter into a drug treatment program. He previously pleaded guilty in federal court in March on one count of conspiracy to commit money laundering. No date for his federal sentencing has been set, yet.